Free Shipping Included! Bummed by Rhino/Wea UK at WA Tunes. Hurry! Limited time offer. Offer valid only while supplies last. 2007 digitally remastered and expanded deluxe two CD edition of the breakthrough album from Shaun Ryder, Bez and Co., originally released in 1988. 2007 digitally remastered and expanded deluxe two CD edition of the breakthrough album from Shaun Ryder, Bez and Co., originally released in 1988. Features the original album with the addition of the Rave on E.P. plus a clutch of bonus B-sides and mixes plus an entire second disc of extended mixes such as the Vince Clarke remix of 'W.F.L.' and the rare promo-only Deadstock mix of 'Hallelujah'. Though the album itself was closer in spirit to their rough and raw debut album, the band were looking forward and beginning to embrace the Rave culture that had begun to take over Manchester and the rest of the UK. 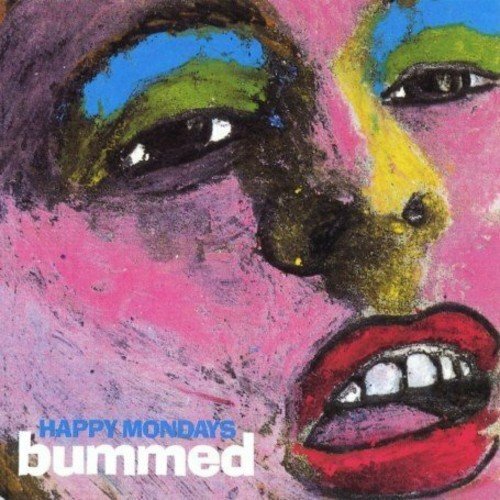 Bummed was an album that crossed many bridges at once and helped define the new sound that flourished in the early '90s. Rhino.